The Brews Brothers will never get caught. They’re on a mission from California. Three artists and long time friends, all from California, joined us for their very first exhibit together and formed a new art supergroup…The Brews Brothers! 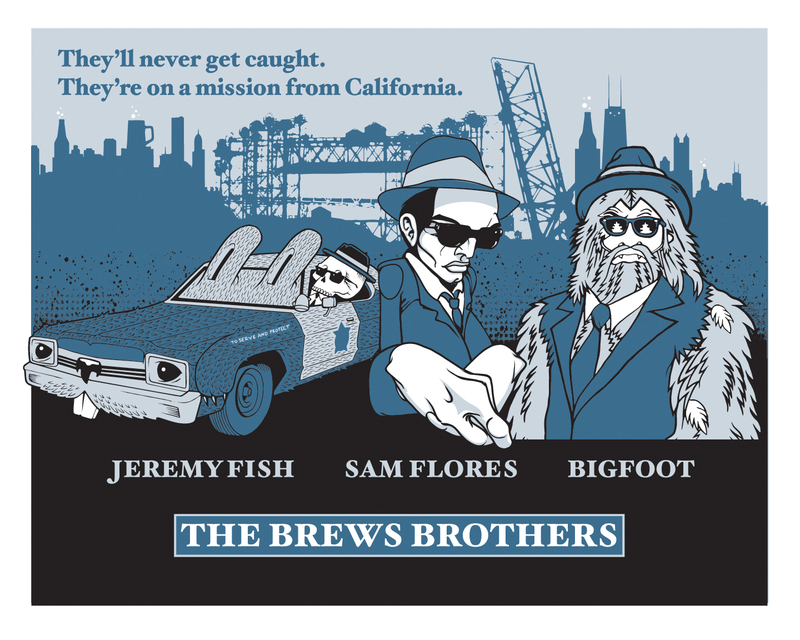 This limited edition three-color 16×20 screen print on heavy white stock was printed at Bloom Press in San Francisco to celebrate the opening of the “Brews Brothers” exhibit in our gallery, September 5-28, 2014.